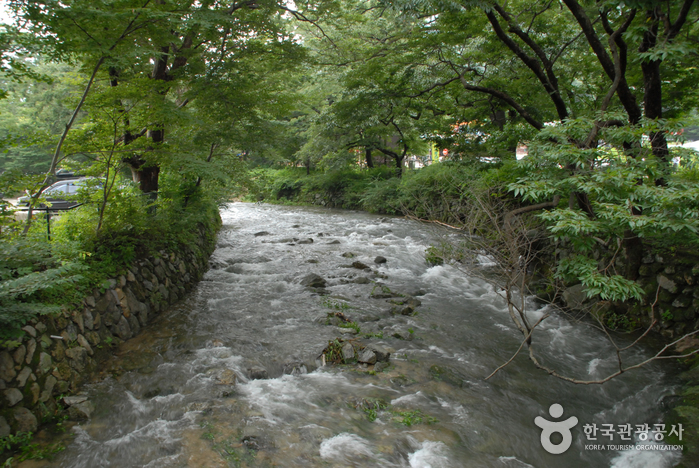 Gyeryongsan National Park stretches across Daejeon, Gongju, and Nonsan. 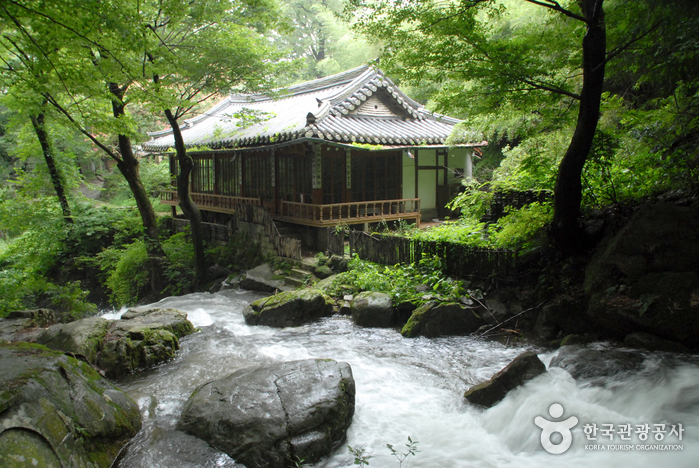 This spectacular mountain is 845.1m above sea level and was made a national park in 1968. 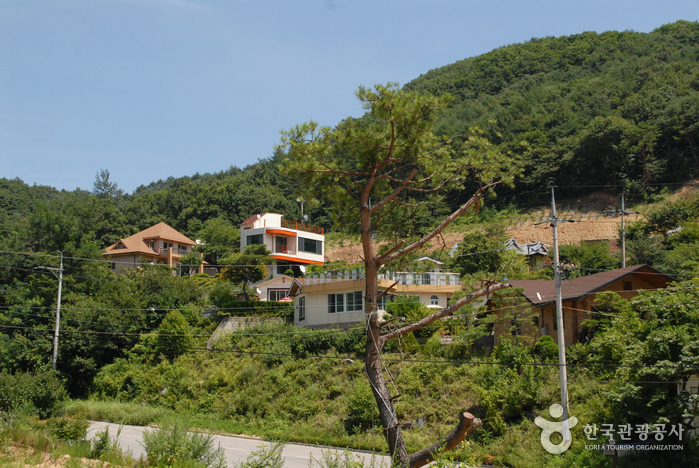 The origin of the word Gyeryong ('Gye' meaning 'chicken,' and 'Yong' meaning 'dragon') comes from the fact that the ridgeline looks like a dragon wearing a chicken's crest on its head. The topographical features are what make this mountain stand out and its mysterious folklore is what makes it so interesting. 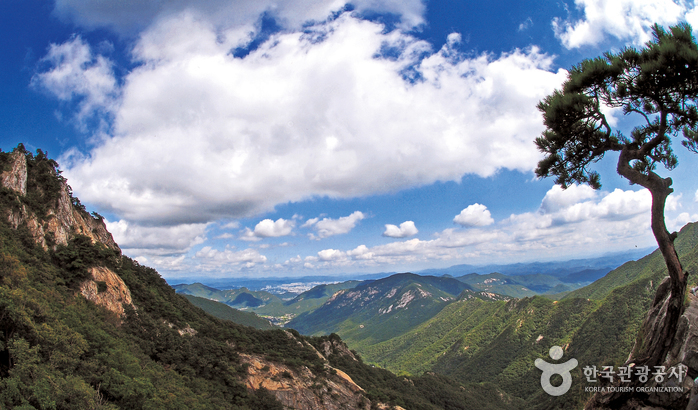 There are 15 summits on this mountain, of which Cheonhwangbong (845.1m) is the main. 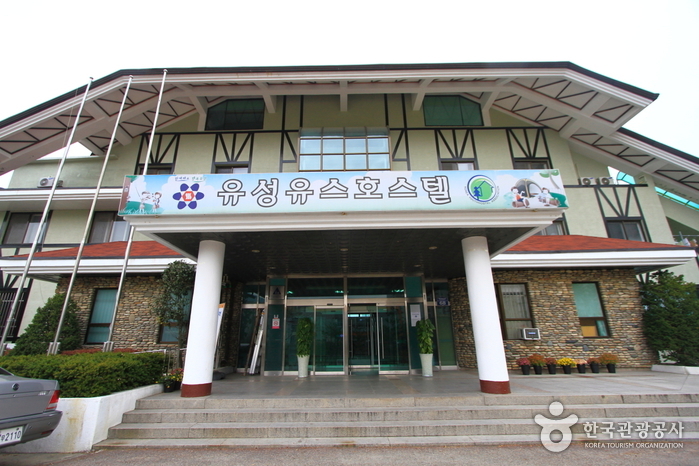 Several others include the peaks of Sambulbong, Sinseongbong, and Gwaneumbong. 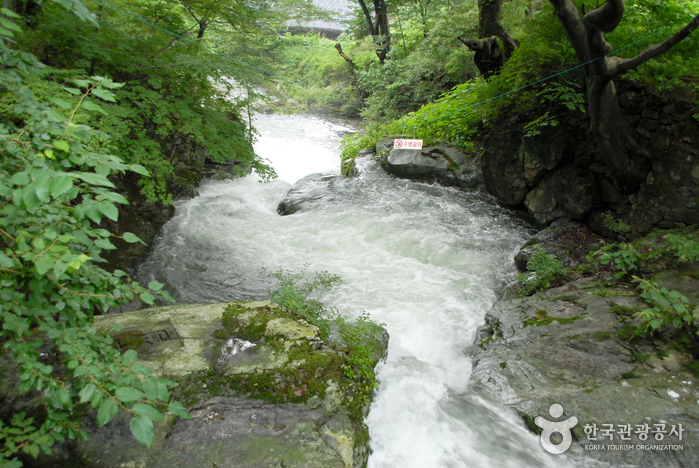 This mountain is famous for its many interesting sites, with its fantastic rock structures, on the west side the Yongmun Waterfall, to the east Eunseon Waterfall, and to the south Amyongchu and Sutyongchu Waterfalls. 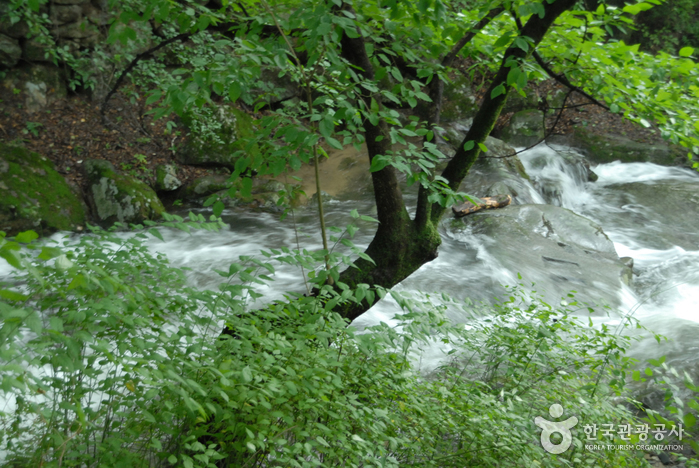 In the spring, cherry blossoms bloom on Donghaksa Mountain trail, and during the summer the lush green of the Donghaksa Valley is very beautiful. 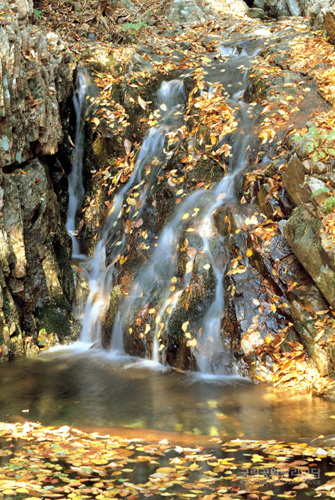 During the fall, the maple trees reveal their crimson colored leaves around Gapsa Temple and Yongmun Waterfall. 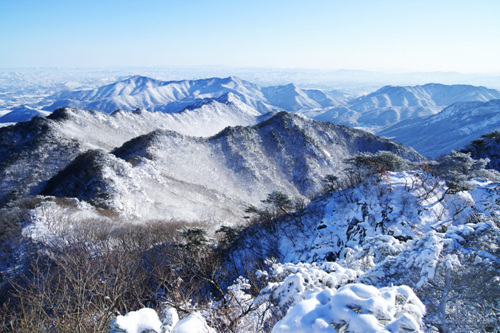 And the snowcapped peaks of Sambulbong in the winter are simply breathtaking. 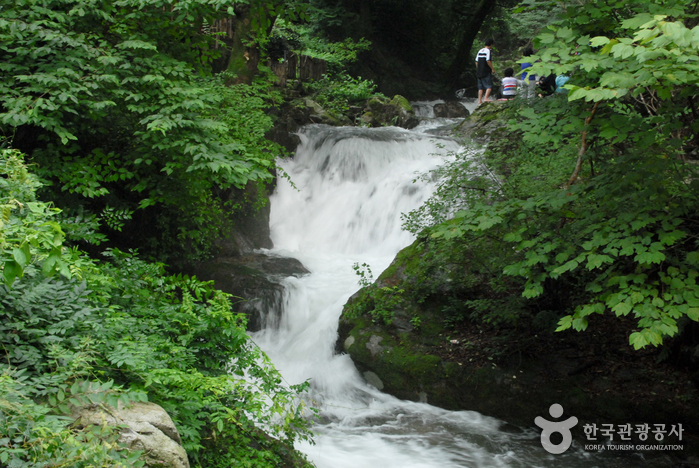 Gyeryongsan is full of rare animals and plants, beautiful waterfalls and a rich history with mysterious legends and cultural treasures. 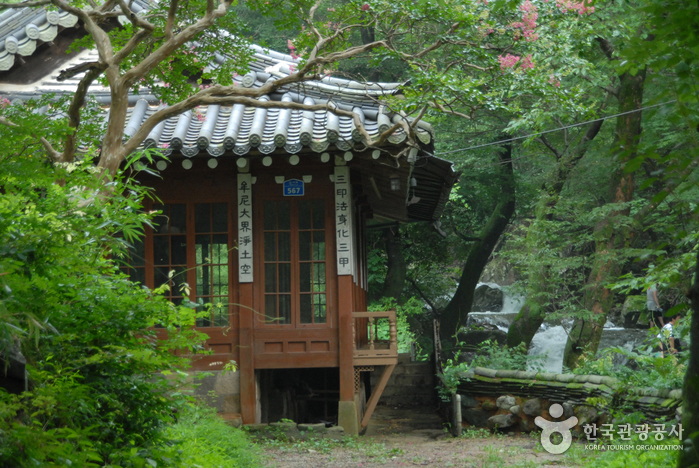 To the east is Donghaksa Temple; northwest, Gapsa Temple; southwest, Sinwonsa Temple; and southeast, Yonghwasa Temple. 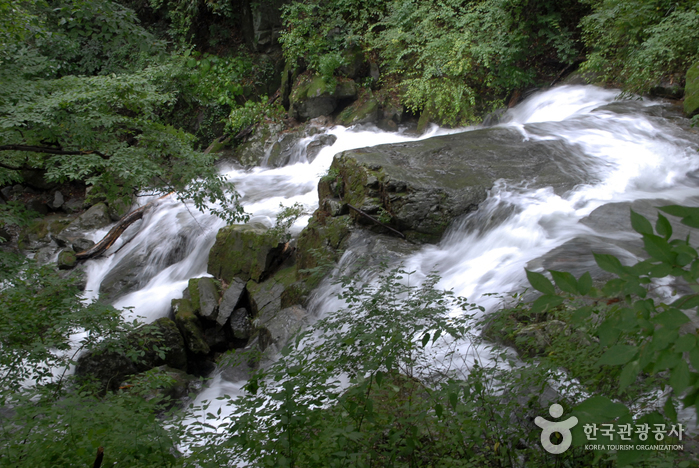 Its valleys are full of ponds and falls that blend together perfectly with the surroundings. 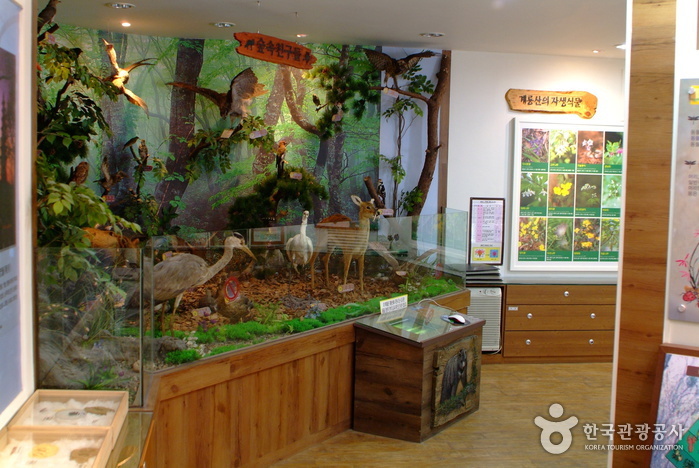 Refer to official website for details. 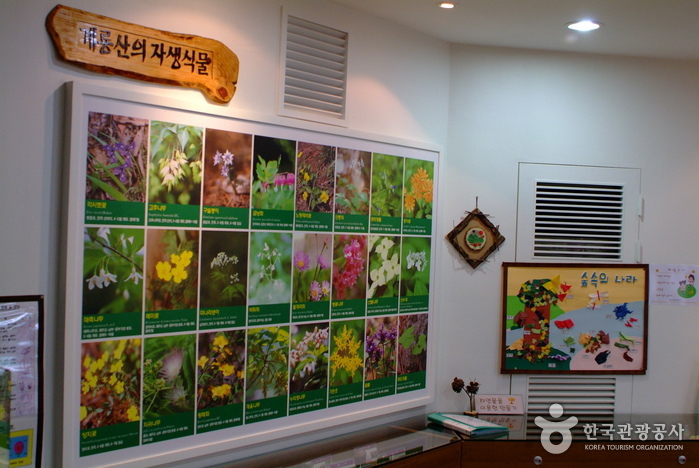 Hiking at night is prohibited (from sunset to 2 hours before sunrise). 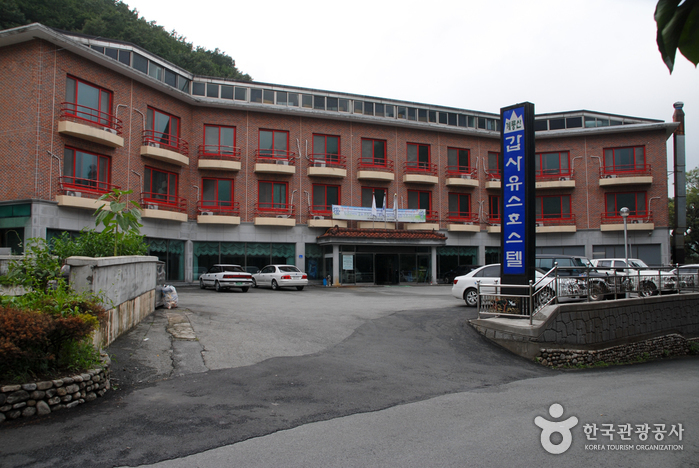 The Kapsa Youth Hostel is an educational trip, company training, family, and personal hostel. 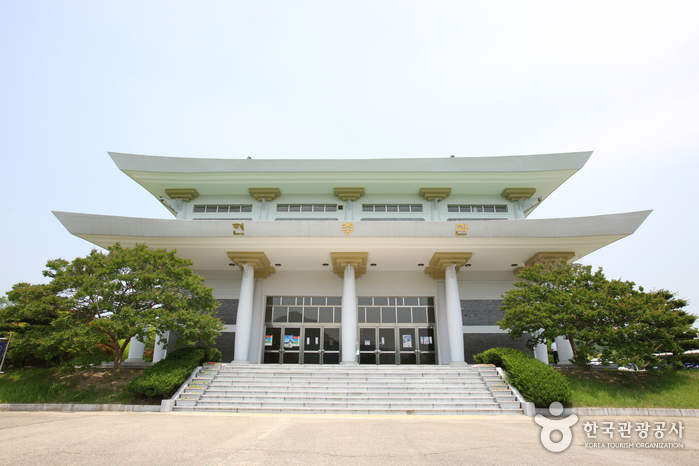 Take Bus 107 and get off at Donghaksa Temple.